With so many Kickstarter projects out there, it can be hard to pick one to actually contribute to. Here at FWx we do our best to sort through the good, the bad and the fundworthy. Picture a craft brewer for a moment. I’d bet you a bottle of Westie 12 that the first thing that popped into your mind was a guy in a flannel shirt with a big beard. That’s why we are excited and intrigued by Three Weavers. The founder, Lynne Weaver, and the brewmaster, Alexandra Nowell, are behind one of the few breweries in America run by women, and when Three Weavers opens its doors to the public this summer, it will be the first brewery in Inglewood, California. As for the Kickstarter campaign (which you should check out), the goal is to raise $25,000 by April 7, for the construction of a beautiful tasting room. There can be a certain “not in my backyard” stigma associated with selling alcohol, so Weaver is focused on making the tasting room a draw for the community by hosting area artists and supporting local nonprofits. The beer will just be something that helps get people through the door. But let’s not downplay it too much. Three Weavers’ award-winning brewmaster, though only 28, already has a healthy résumé (Sierra Nevada, Drake’s, Moylan’s, to name a few). With the space still under construction, Nowell partnered with the folks at Noble Ale Works to put out the Three Weavers’ first offering last February: The Messenger, a citrusy American IPA made with Buddha’s hand citrus and pomelo. She also developed a session IPA with L.A. brew darlings Golden Road, which Weaver plans to bring to Inglewood. So how does a mother of three with a background in finance end up running a brewery? While drinking, of course. 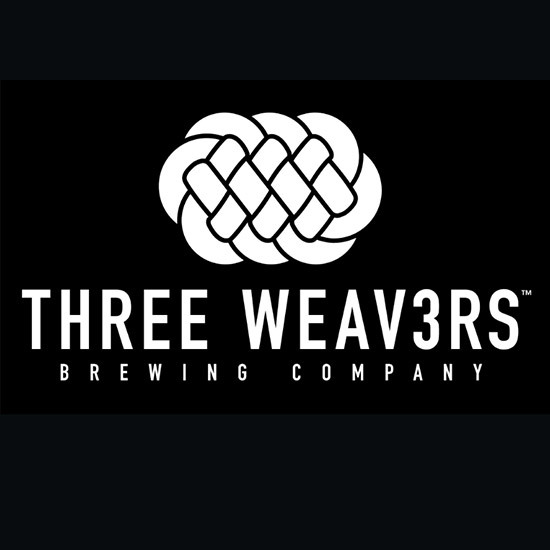 Weaver says two drinks led to the founding of Three Weavers. The first followed an otherwise uneventful trip to the grocery store when she spotted a crowd at a Southern California brew house. Anything that brings in that many people must be good right? Apparently not. She didn’t finish the pint, but the experience made her envision a brewery as a community center (with good beer). The second brew was her own at-home experiment, served in her backyard to a couple of German friends. Germany, of course, is a nation where opinions on beer could best be described as “particular.” The duo encouraged her to make beer professionally, and in a move that is surely the envy of home brewers the world over, offered to help support the project monetarily. Fast-forward to today and Three Weavers is on schedule for a June opening and the introduction of five more beers (a kolsch, two IPAs, an amber and an imperial stout). If everything goes according to plan, there will be a big crowd—with all of them finishing their pints.